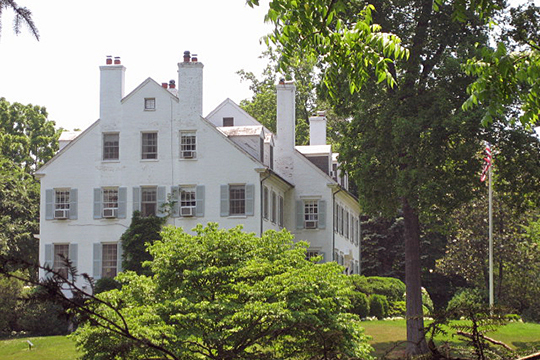 McLean is a census-designated place bordering the Potomac River. It is essentially a bedroom community for Washington, D.C. The primary zip code is 22101. Photo: Hickory Hill, ca. 1870, McLean, VA. This home was successively owned by a number of notable public figures including James and Jenny Speer, Justice Robert H. Jackson, John F. and Jacqueline Kennedy, and Robert and Ethel Kennedy. Photographed by User:Quarterczar (own work), 2007, [cc0-by-1.0 (creativecommons.org/publicdomain/zero/1.0/deed.en], via Wikimedia Commons, accessed December, 2015. Established in 1910, the community of McLean is named for former Washington Post owner and editor, John. R. McLean. He participated as an investor in the creation of the Great Falls and Old Dominion Electric Railway in 1906 which connected the area with Washington, D.C.